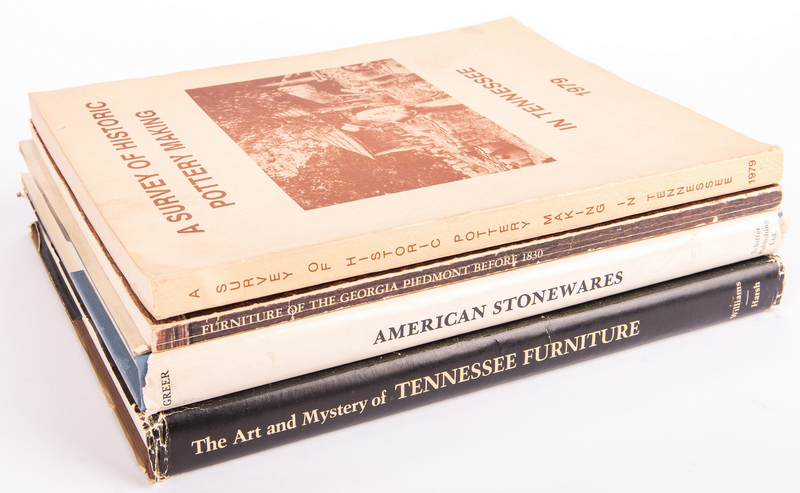 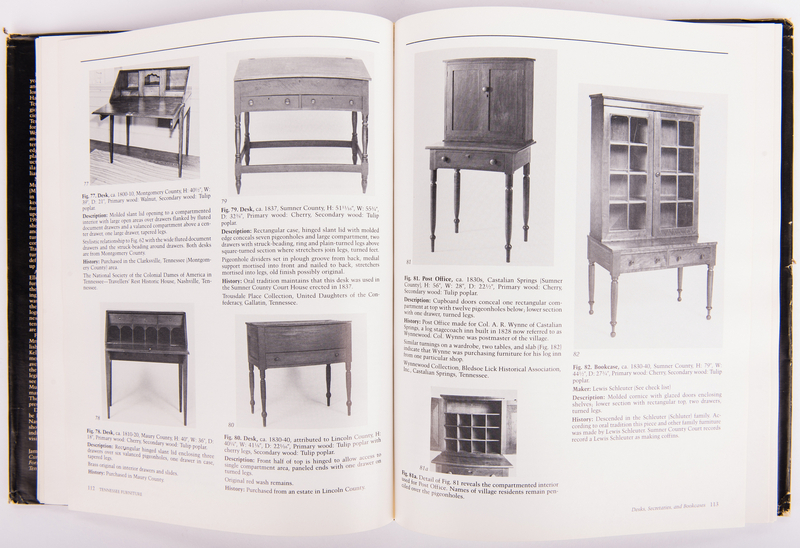 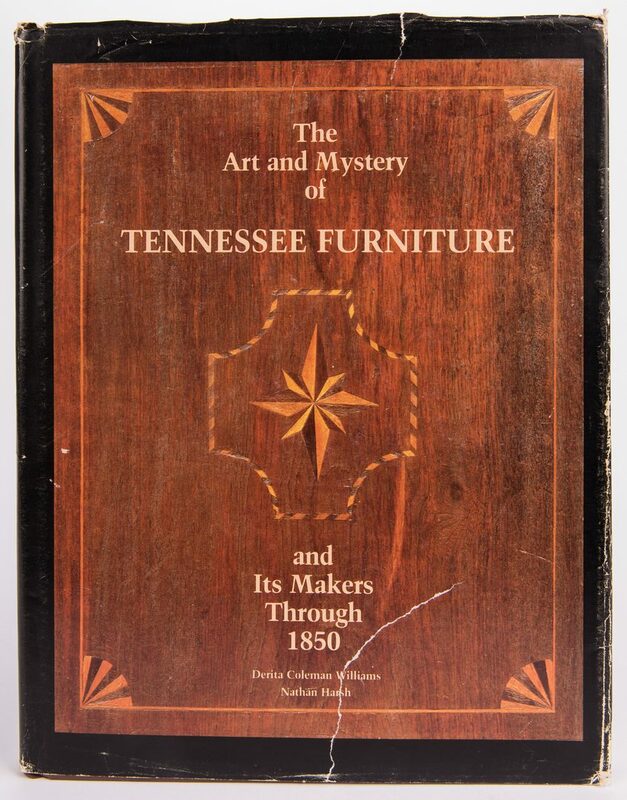 1st item: THE ART AND MYSTERY OF TENNESSEE FURNITURE AND ITS MAKERS THROUGH 1850, by Nathan Harsh and Derita Coleman Williams, published by the Tennessee Historical Society, Nashville, 1988. 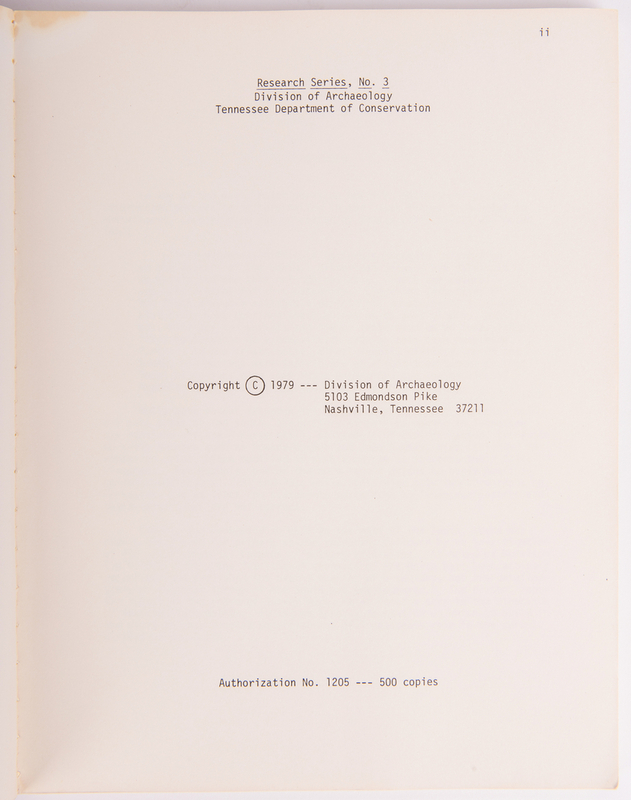 Retains the original dust cover . 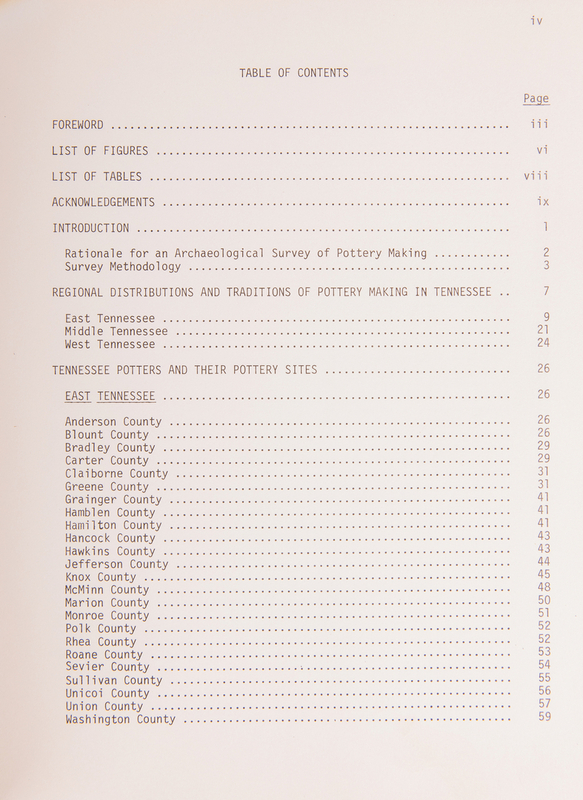 11 1/4" H x 8 3/4". 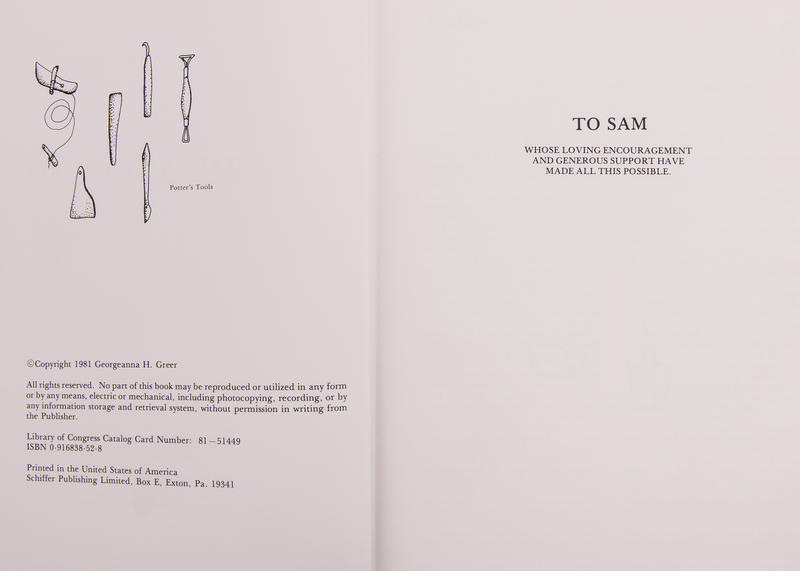 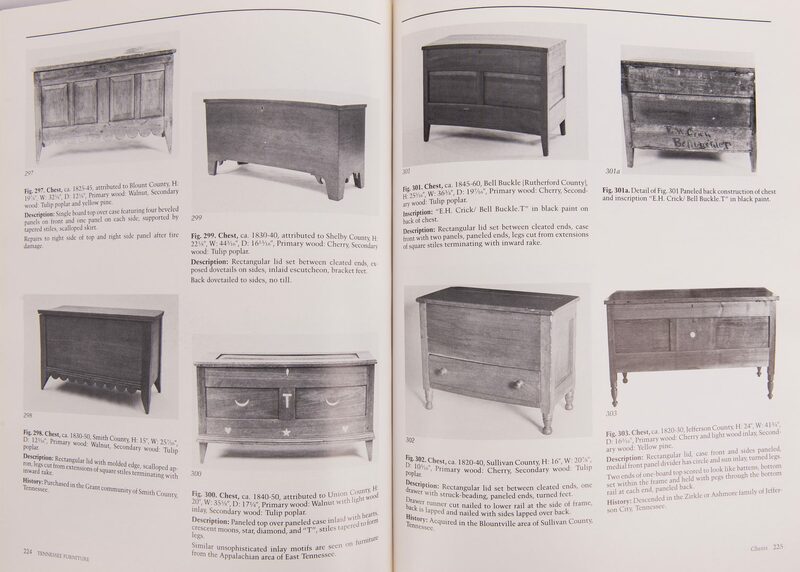 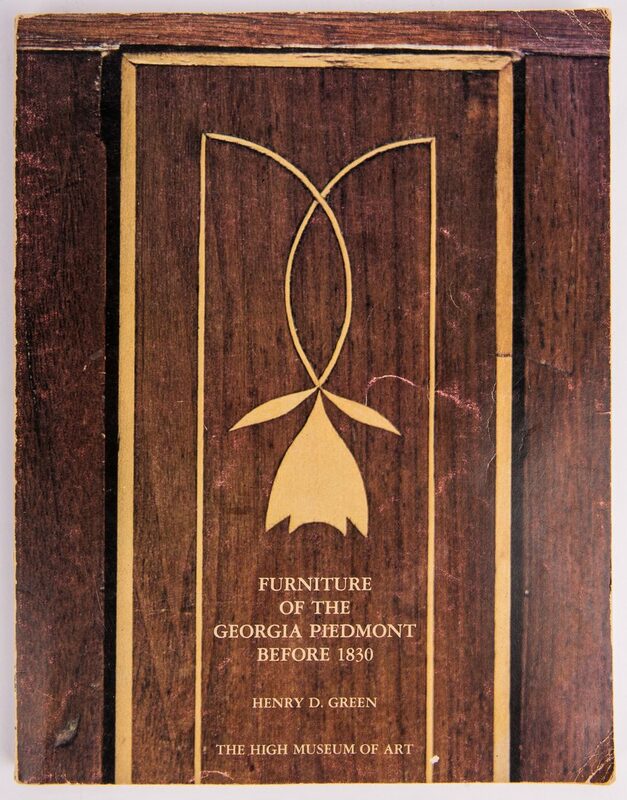 2nd item: FURNITURE OF THE GEORGIA PIEDMONT BEFORE 1830 by Henry D. Green, published by High Museum of Art, Atlanta, 1976. 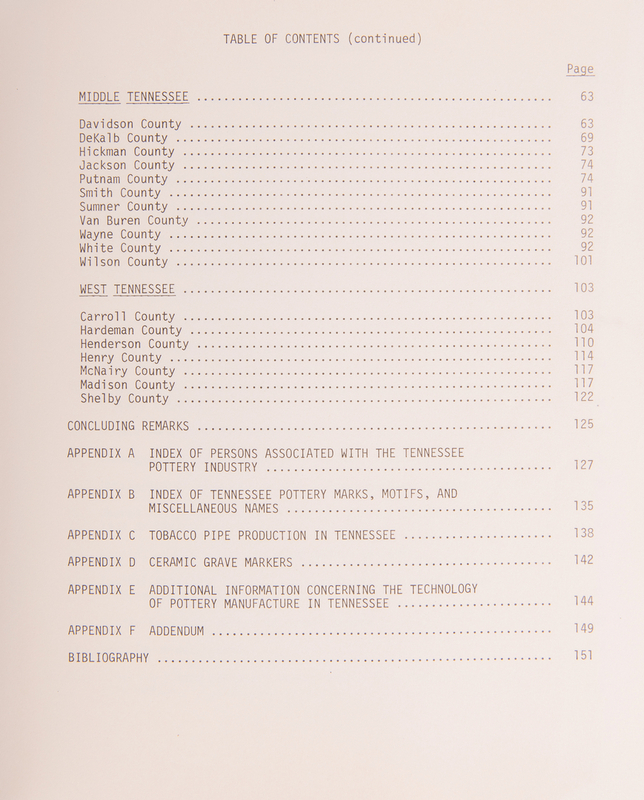 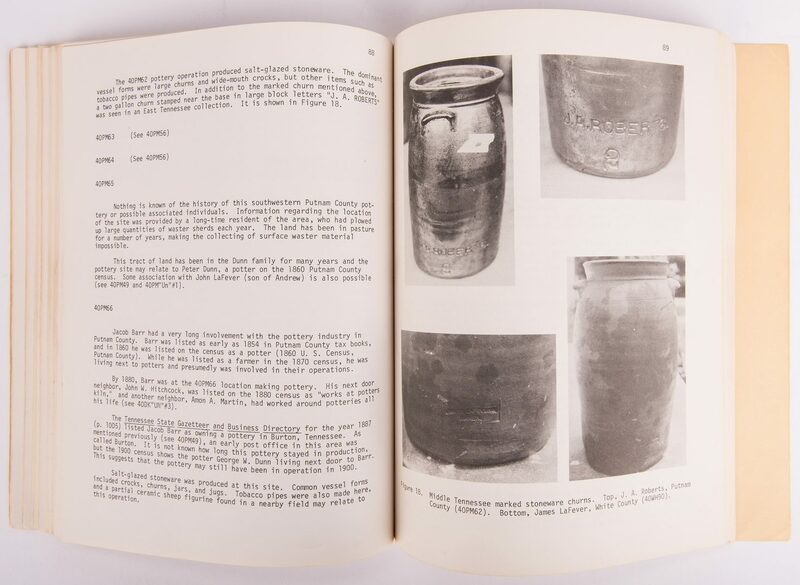 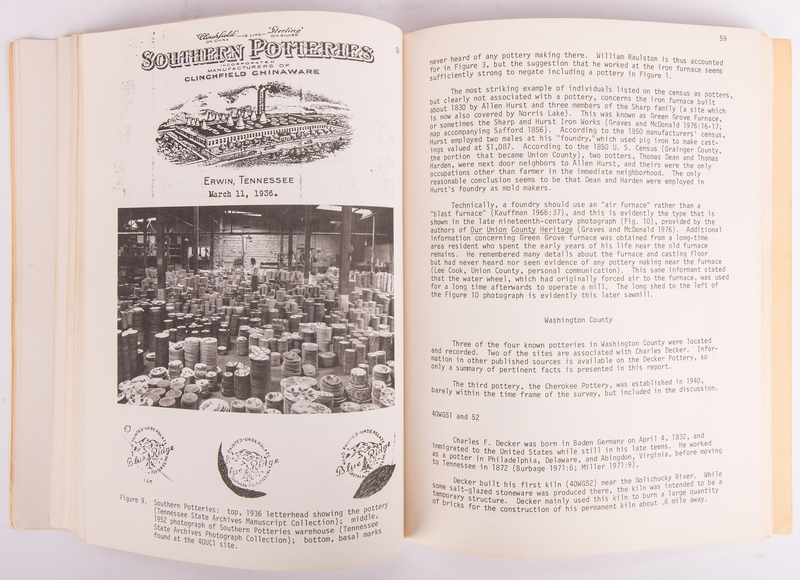 11" H x 8 1/2" W. 3rd item: A SURVEY OF HISTORIC POTTERY MAKING IN TENNESSEE by Stephen T. Rogers, division of Archaeology, TN Department of Conservation, 1979. 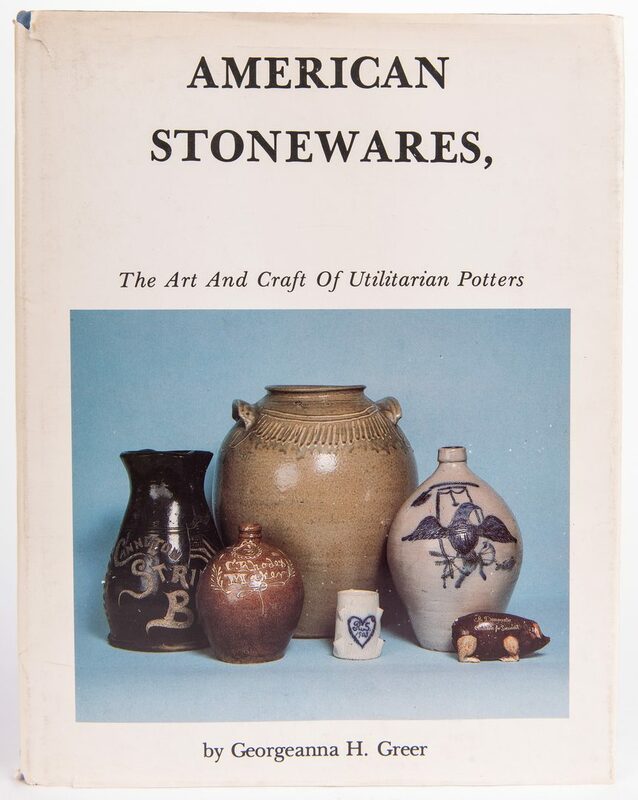 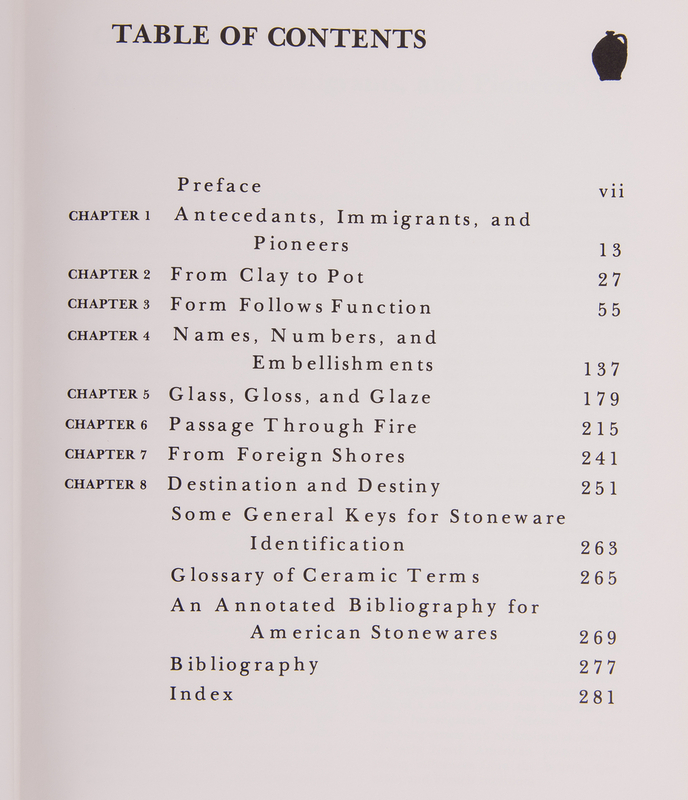 11" H x 8 1/2" W. 4th item: AMERICAN STONEWARES, The Art and Craft of Utilitarian Potters, by Georgeanna H. 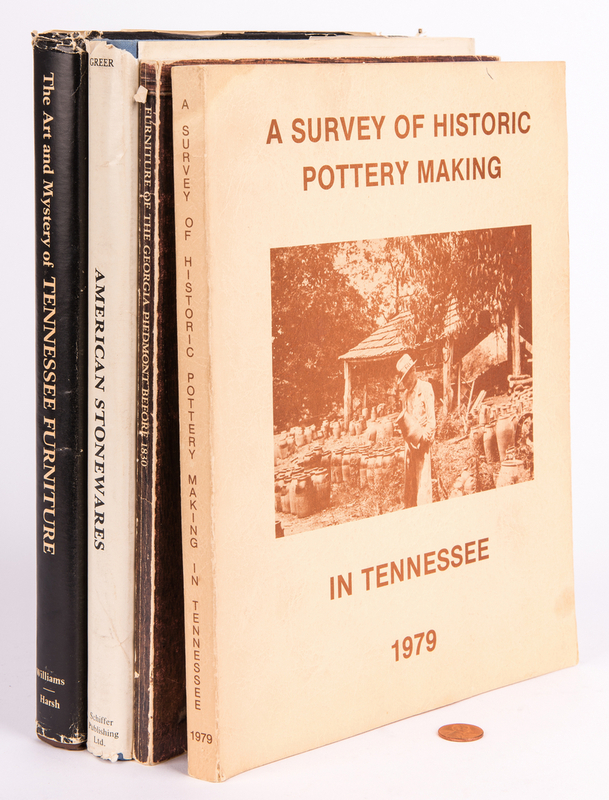 Greer., Schiffer Publishing, 1981. 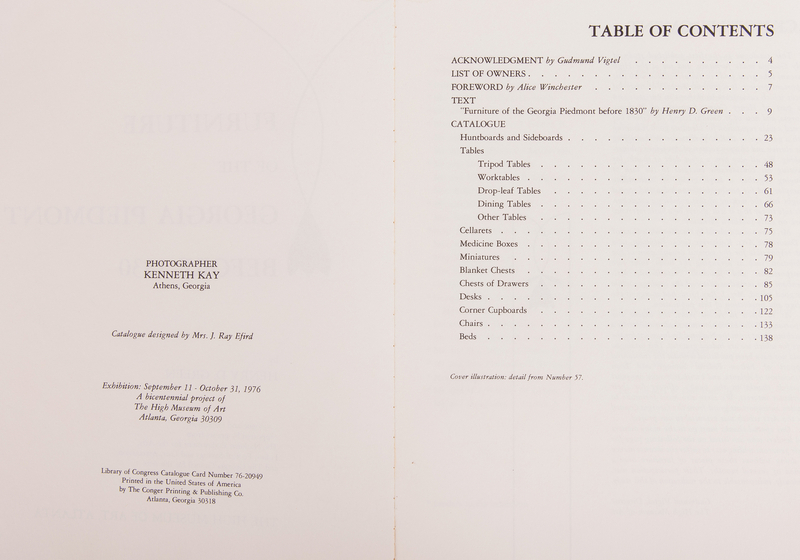 Retains the original dustcover. 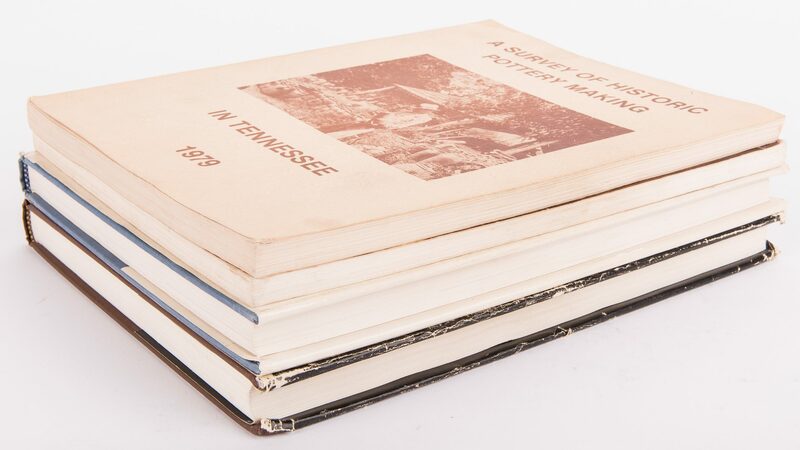 11 1/4" H x 9" W.Provenance: Collection of Wilma and Jack Murray, Knoxville, TN. 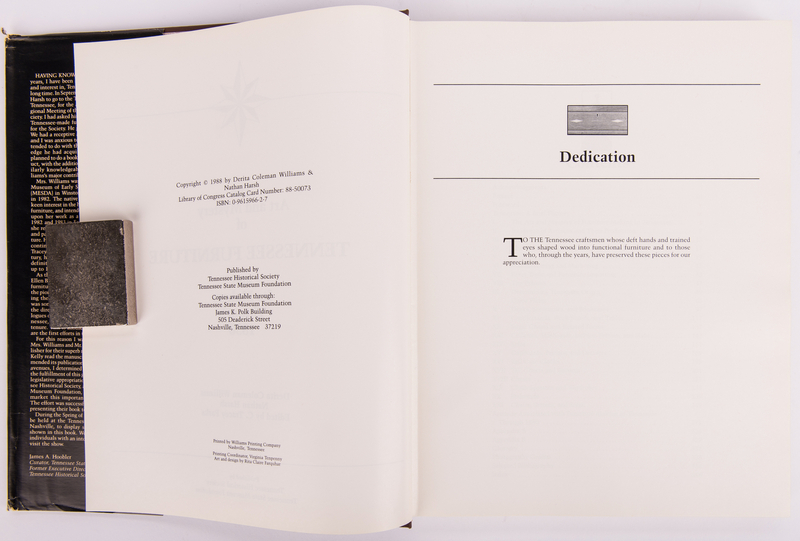 CONDITION: 1st item: Retains the original dust cover, cover with general wear, tear to front lower edge. 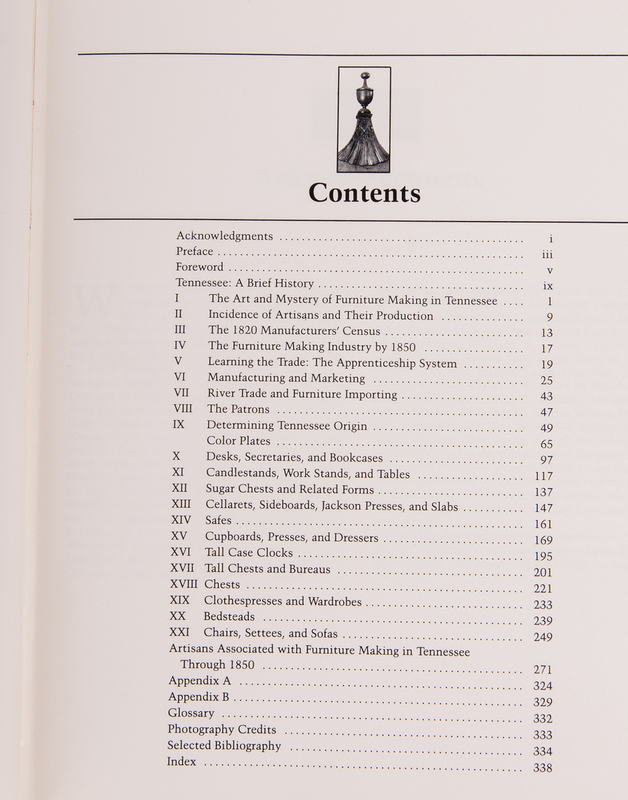 Book overall very good condition. 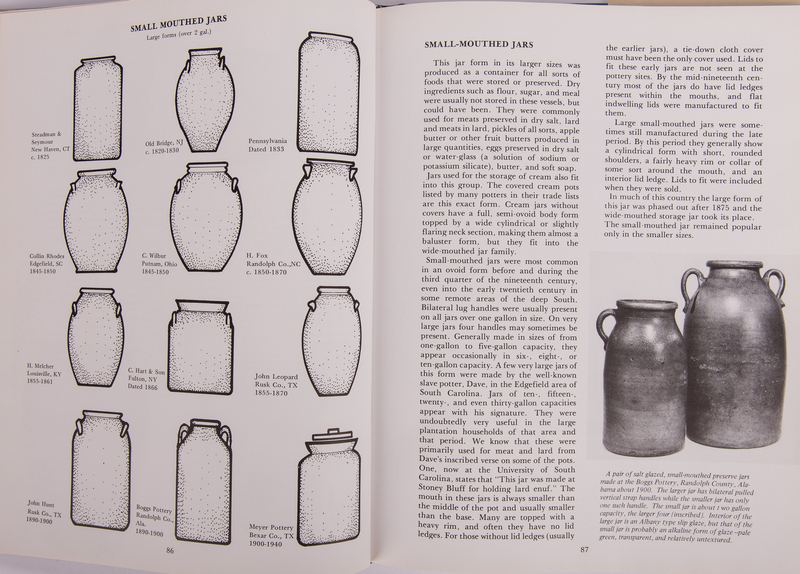 Minor denting to the corners. 2nd item: Light creasing to cover, slight denting to lower right corner, stains to first 25 pages to lower right corner. 3rd item: Light toning to cover, a couple areas of staining to front cover, clean, bright interior. 4th item: Retains the original dustcover, some light wear to upper left corner. 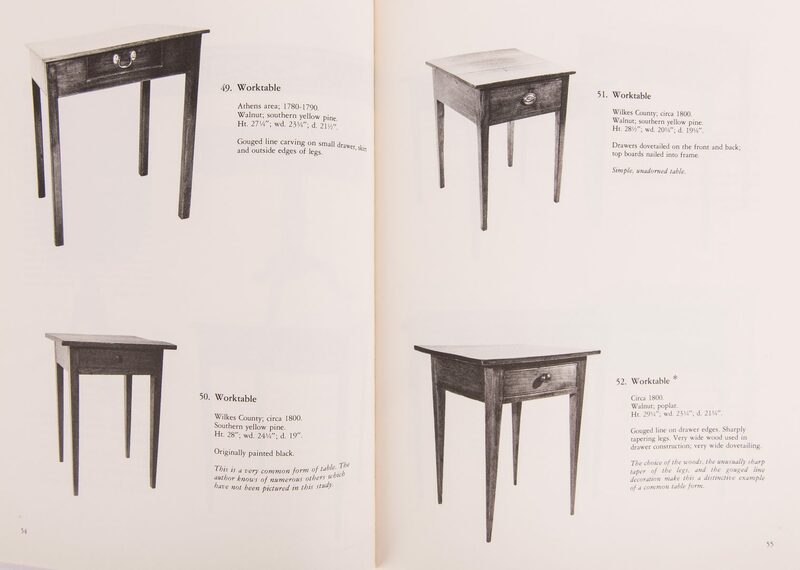 Clean, bright interior.